TV show dates: February 20, 2018 — present. Performers include: Sean Bean, Richie Campbell, Vanessa Kirby, Eloise Smyth, Elliot Cowan, Tom Ward, Ryan Sampson, Laurence Fox, Paul Kennedy, Martin McCann, Charlie Creed-Miles, Stuart Graham, Jessie Ross, Ed Stoppard, and Lucy Cray-Miller. A reimagining of Mary Shelley’s novel, Frankenstein, The Frankenstein Chronicles TV show comes from creators Benjamin Ross and Barry Langford. Set in Georgian England, the horror-crime drama centers on Inspector John Marlott (Bean). In London, in 1827, standing upon the riverbank, Marlott stumbles upon a body. When he touches its hand, the hand grabs him back. At first, it appears to be the body of a child. Upon closer inspection, however, Marlott sees various body parts have been sutured together to make up a grotesque approximation of a human body — a sight he will never forget. After the Thames River Police successfully apprehend a gang of opium smugglers, Home Secretary Sir Robert Peed (Ward) recruits Marlott to join his squad. Peel assigns Marlott to work in the Bow Street offices and investigate the case. He needs to determine if the corpse was created and planted as a political maneuver to kill Peel’s “Anatomy Act,” or if there is something to the rumors of a Smithfield monster. Peel, of course, insists that every detail of Marlott’s investigation remain confidential. Since he can’t shake the haunting discovery, Marlott is eager to track and find the person who committed this unspeakable crime. As the investigation unfolds, Marlott realizes that he is dealing with something more horrifying than he’d dare imagined. What do you think? Do you like The Frankenstein Chronicles TV series? Should this Netflix TV show be cancelled or renewed for another season? 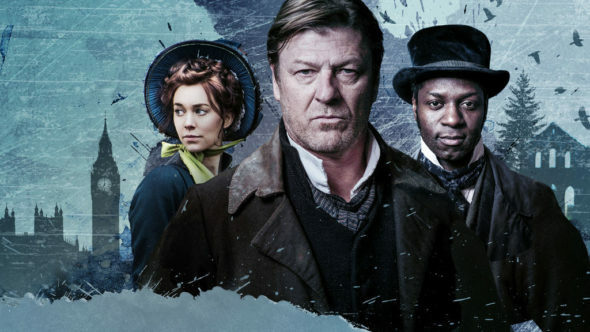 The Frankenstein Chronicles on Netflix: Cancelled or Renewed for Season Three? Love the show! Looking forward to Season 3!! Just wondering when season 3 will be out? We love the show!!! And can’t wait to see more.!! !